Molly Zwerdlinger, on her wedding day, with her mom. The pathway to motherhood isn’t the same for everyone. For young women who find out they have a genetic mutation, which increases their risk of breast cancer, everything – including the prospect of children – changes. 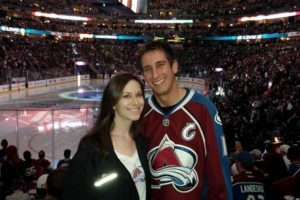 Susan G. Komen® Colorado recently talked with Molly Zwerdlinger, who at 27, learned she has the BRCA2 mutation. Zwerdlinger shares the tough family planning decisions that come with having this genetic predisposition. BRCA1/2 genetic mutations are inherited from a parent, mom or dad, and they increase an individual’s risk of developing breast and ovarian cancer over one’s lifetime. These genetic mutations are rare. Studies show 5-10 percent of breast cancers in the U.S. are related to an inherited gene. While this mutation increases cancer risk, some people with it will never have breast cancer. Deciding to get genetic testing is a personal decision. Some people get sense of relief or empowerment no matter the results, while others develop feelings of fear or anxiety. If testing indicates a mutation, there are also a number of decisions to make, especially if you’re a woman who desires a biological child. Zwerdlinger’s first reaction to her genetic test results was to have a prophylactic mastectomy and total hysterectomy. That wasn’t the only decision she had to make. 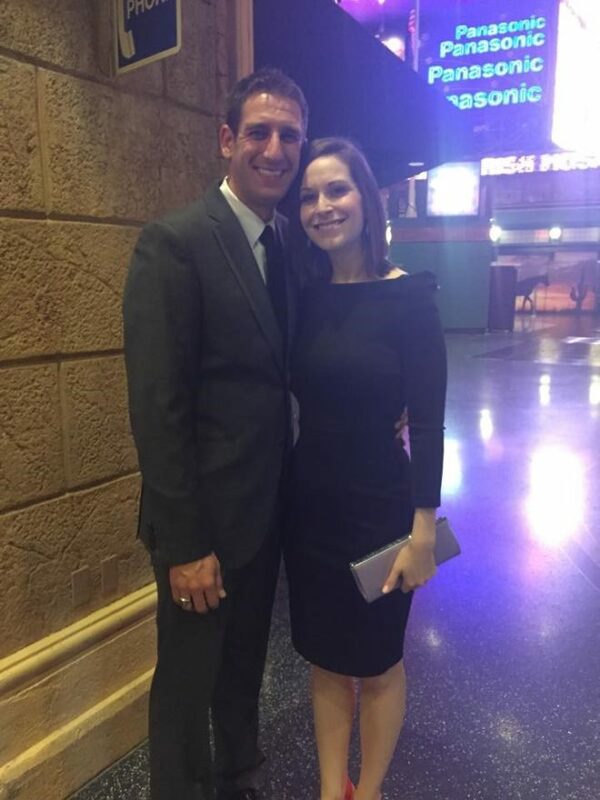 Zwerdlinger and her husband want children. After the initial shock of the news settled, Zwerdlinger met with an oncologist and obstetrician/gynecologist to discuss her options. Doctors felt it was safe for Zwerdlinger to try to have a child, but they recommended she do so before her 33rd birthday. After that time doctors say her risk of developing cancer increases. “I was basically given five years to make myself a mother,” she says. Zwerdlinger, now 29, has put the prophylactic surgeries on hold to try to have a baby. If she cannot get pregnant in the five year time frame, she says she’ll consider freezing her eggs and move forward with prophylactic surgery. In the meantime, Zwerdlinger will have breast MRIs, mammograms, and ultrasounds as her preventive plan. Making the decision to move forward with trying to have a child was not easy. There is a 50 percent chance Zwerdlinger will pass on the BRCA2 mutation to her children. This left her fraught with guilt. Zwerdlinger, though, doesn’t bear any resentful feelings toward her father who, as later testing would indicate, passed on the mutation to her. After all, the BRCA1/2 mutation had not even been discovered when Zwerdlinger was conceived. With advancements in science, couples who have BRCA1/2 have more family planning choices than ever before. Today, an IVF embryo can be tested prior to implantation for a variety of genetic conditions, including BRCA1/2 mutations. Zwerdlinger’s husband assured her no one is to blame, and they looked into the expensive embryonic testing. Zwerdlinger says the past couple of years have meant difficult decision making, especially for a woman her age. In addition to considerations about her fertility and future children, she worried about how she would feel about herself with no breasts and no estrogen. 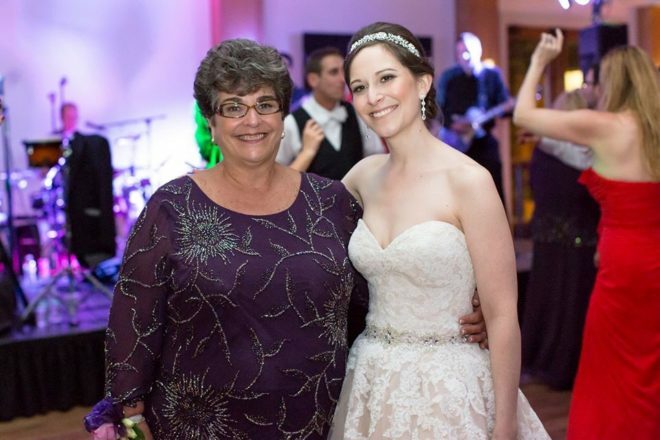 By sharing her story, Zwerdlinger wants other young BRCA women to know their situation does not have to be “survival versus motherhood,” though it may feel that way at first.